I think you would agree that it’s easy to set goals, but reaching them can be a struggle. Sometimes we give up on our goals because we don’t see progress soon enough. That used to be a pattern for me. I would set a goal and give up too soon because it felt like I was spinning my wheels. This led me to researching different ways to reach goals faster. 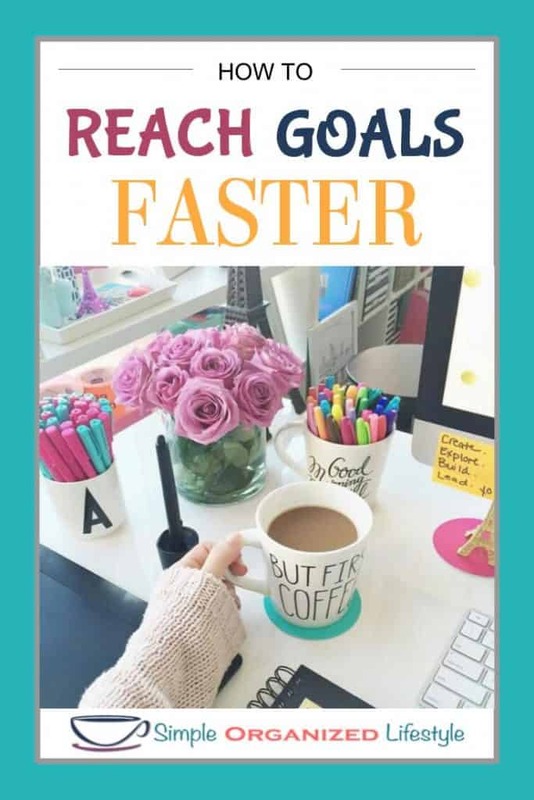 I’m summarizing the 10 simple ways to reach your goals faster that I found to be the most effective. Once I started developing these simple habits, reaching my goals became easier. They can work for any kind of goal you have set and want to reach faster. What is your goal? If you are just holding it in your thoughts, then it’s a thought that pops up from time to time. Instead, write it down in a place where you can see it every day. This will keep your goal at the center of your thoughts and creates the urgency to keep moving forward. Writing your goals down keeps them constantly in your thoughts rather than from time to time. It’s a simple way to keep you focused on reaching your goals faster. Being a giver without asking for anything in return will find its way back to you in abundance as you work on reaching your goals. Giving more doesn’t have to involve money at all. You might give your time. You might teach someone how to do something to improve their lives. It doesn’t matter “what” you give, it matters “why!” Give to make things better, make people better, and make lives better. 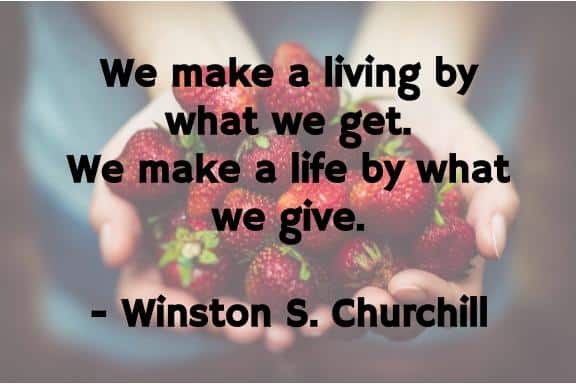 I believe being a giver helps you reach your goals faster because there are people eager to help you along your way. It also helps us keep a positive mindset, which is also essential to reaching your goals faster. Find someone who has achieved some goals that you have set for yourself. Spend time with people who can advise and guide you in making decisions that will help you reach your goals. Most of them were in the same place as you at one time and their knowledge will save you time and improve your decision making process. If you can’t find a mentor you know personally, consider joining a Facebook group of likeminded people. There are Facebook groups on just about any topic. One of my goals is financial, so I’m a member of a group that shares ideas and support when it comes to reaching financial goals. It’s a great way to connect with others who have similar goals. Filling your mind with gratitude for what you’ve already accomplished will create a healthy and productive mindset. A healthy mindset will allow you to think more clearly and be more positive, which will lead to reaching your goals faster. I wrote an entire article on gratitude and how it brings opportunities our way. Being grateful is easier said than done when everything seems to be going wrong at once. If we can ask ourselves “how can I learn or grow from this experience” it’s just going to make us become better at handling life’s curveballs and staying on course to reach our goals. Keeping a journal is a simple way to express more gratitude. You can jot down things you are grateful for on a daily or weekly basis and refer back to it when you hit bumps in the road. It can be an instant mood changer! If you start taking action daily, no matter how small, you’ll be ahead of the game in no time. Every action you take will move you forward and moving forward will turn those big goals into reality before you know it! I have an editable template in the resource library with a place to write (or type) in a goal and list 1-3 action steps below each goal. My resource library is essentially an open door to the planning and goal setting tools that I use and share with readers. Please feel free to use this template if you need something to get started! This means “I’m going to lose 10 lbs by mid-year” is a better goal than “I’m going to lose weight” because it meets the SMART criteria. I think the SMART method works well for setting and reaching goals because it forces us to think through each goal and give ourselves checkpoints and timelines. Progress is progress! Celebrate small milestone wins and use that as momentum to keep moving forward. Some people even have in mind how they want to celebrate different milestones and I think that is great motivation. Momentum and motivation go hand in hand with reaching your goals faster. I’ve mentioned one of our goals is related to finances. We’ve mainly used the debt snowball to achieve some of our big financial goals. Each time a debt was paid off, we celebrated and used that momentum to tackle the next one. Celebrating those small milestone wins helped us to stay on track and keep making progress toward our ultimate goals. Decide in advance what your small milestone wins will be and how you will celebrate them. Use these checkpoints as momentum and motivation to reach your goals faster! This is a fun part of reaching your goals faster! Creating a vision board is a bit different than writing goals down because it adds a visual element to what our lives will look like when we’ve reached our goals. A vision board is our way to create a picture of our future once we’ve reached our goals. 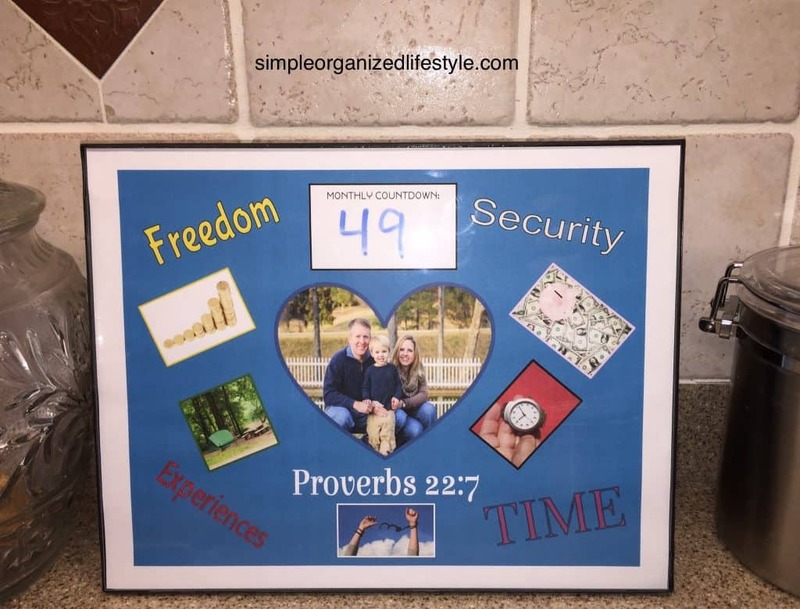 Although this post on how to create a financial freedom vision board is related to finance, you can use the steps to create a vision board for any type of goal. Have you ever heard someone say, “If you want to know what someone values, just look through their checkbook.” I find that statement to be odd but true. Someone’s checkbook does tell a story of the things they like to do, places they like to go, and where they spend time. I believe this also applies to setting and reaching our goals. If we spend time and consume skills and resources on things that are related to our goals, we will reach them faster. Reading and learning about things related to our goals is a great way to stay focused and make better use of our time than on things that may distract us from reaching our goals. Luckily, we live in a time when learning is just a click away. There are so many great resources available online to help us reach our goals faster. Life happens and sometimes that means our goals might need to be adjusted. Give yourself freedom to adjust the goals. It doesn’t mean you’re abandoning your goal, it just may mean a different path or timeline than you originally planned. It’s okay! If you are a person who sets goals and are reading an article on how to reach them faster, then you are already well ahead of the game. In conclusion, you have already made an investment in yourself by setting goals. I hope these 10 simple ways to reach your goals faster have been helpful as you move forward and keep making progress on those goals! If you would like to use any of the goal setting templates or tools available in the resource library, you can access it by clicking on this link, or using the form below. I wish you all the best in setting and reaching your goals faster than planned! For some people, goals are achieved almost without thinking, they just get on with their purpose, set goals and hit them. For other people, they never even to seem to be able to get started. So, for the majority of people and indeed companies and organizations, goals are best created aligned to a long term vision, purpose, mission and strategy. Those long term aims of the future are then broken down into small steps and milestones. These milestones become goals. I love number 8! On our Fridge, we have a list of all 21 of our student loans that used to equal close to $75,000. Being able to cross off one loan at a time helps us see that our extra payments are making a difference, and it keeps you motivated on the month we may not be able to make extra payments. We now have our loans down to $56,000 and until every loan is paid off, that list will stay attached to the fridge! I love that strategy! There’s satisfaction in crossing something off and using that for encouragement and momentum. You’ll be there before you know it!